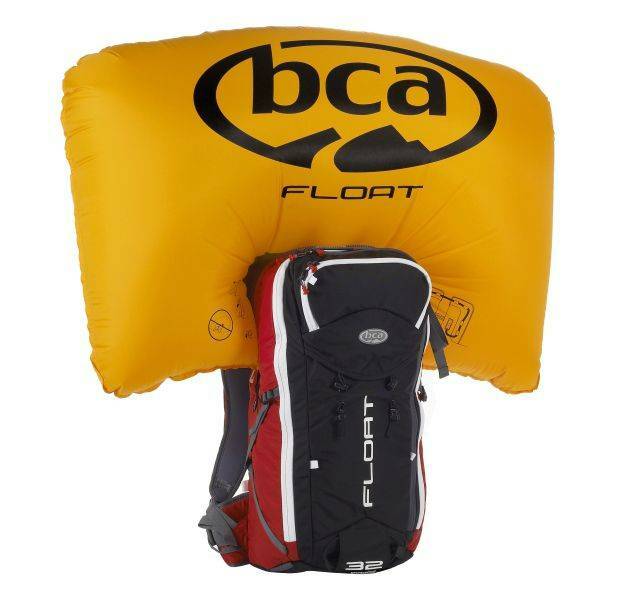 The BCA Float 32 airbag is designed for pros, guides, and dedicated backcountry junkies carrying the full quiver of essentials. 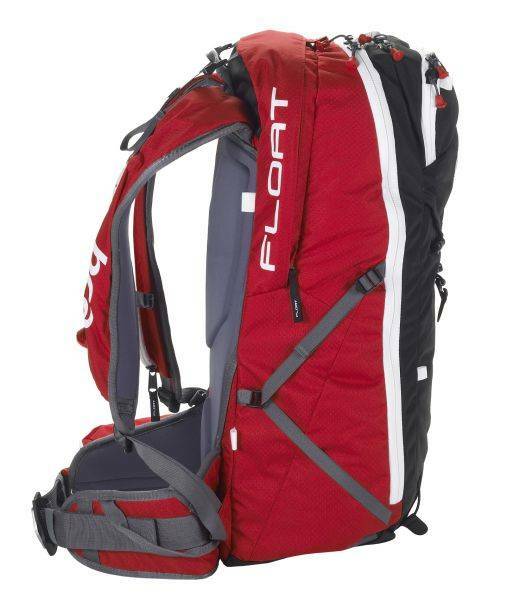 The BCA Float 32 includes big volume, load lifers, shovel/probe pocket, waist belt pocket, lined goggle pocket, hydration sleeve, diagonal ski carry, ice axe carry, helmet carry and optional snowboard carry attachment (sold separately). 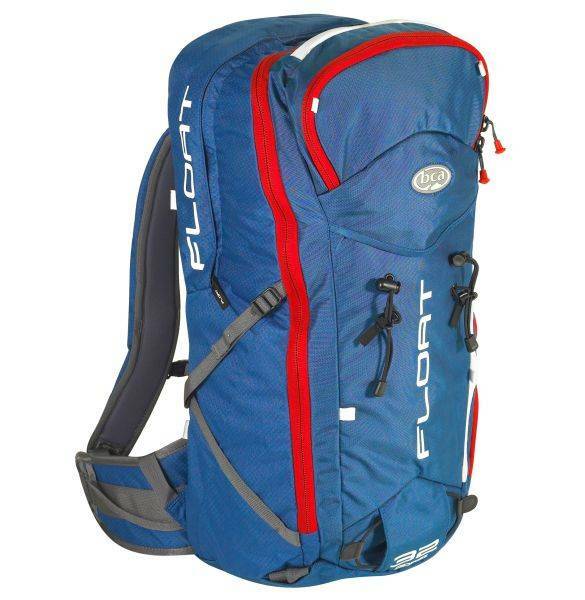 Trigger and hydration system can be set for the left or right shoulder strap. Preventing or minimizing burial depth is the key to reducing avalanche fatalities. That’s because the majority of time in an avalanche rescue is spent on excavating the victim. 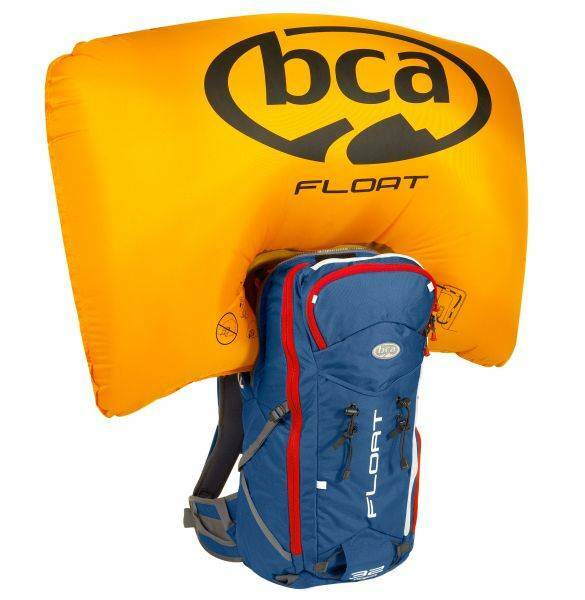 The BCA avalanche airbag is designed to keep you at or near the surface, minimizing excavation time. 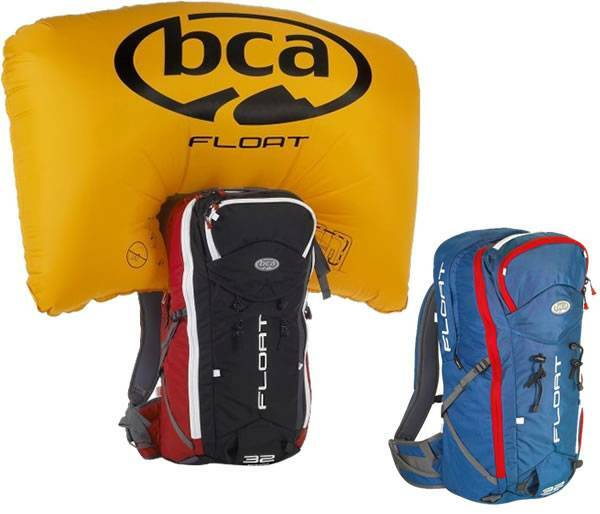 Our Float avalanche airbags are the first airbags that are both affordable and easily reusable. A wide network of BCA-authorized refill centers provide unmatched service to Float purchasers. A small 2,700-psi (186 bar) compressed-air cylinder, single-chamber 150-liter airbag, and super efficient venturi system make the Float systems easy to refill, light and affordable.